You know you are at a ski race when you hear the iconic sound of cowbells cheering on the racers. This is a tradition that spans the globe. 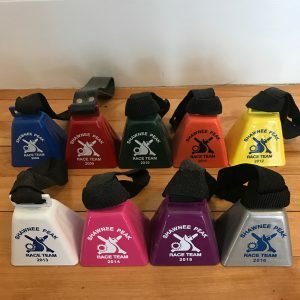 For the 10th year in a row, Shawnee Peak Race Team has ordered Bevin cowbells as ski racing awards and end of season gifts for each of their ski racers – each year they choose a different color. At the final banquet, coaches get up and talk about each athlete, highlight their accomplishments and hand out the bells. It’s a tradition the kids really look forward to, and it makes for a festive event. 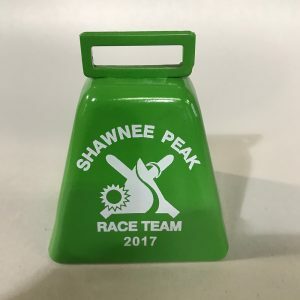 Not to mention, the cowbells serve as great cheering bells during the season! This kind of makes you want to stand up and salute! 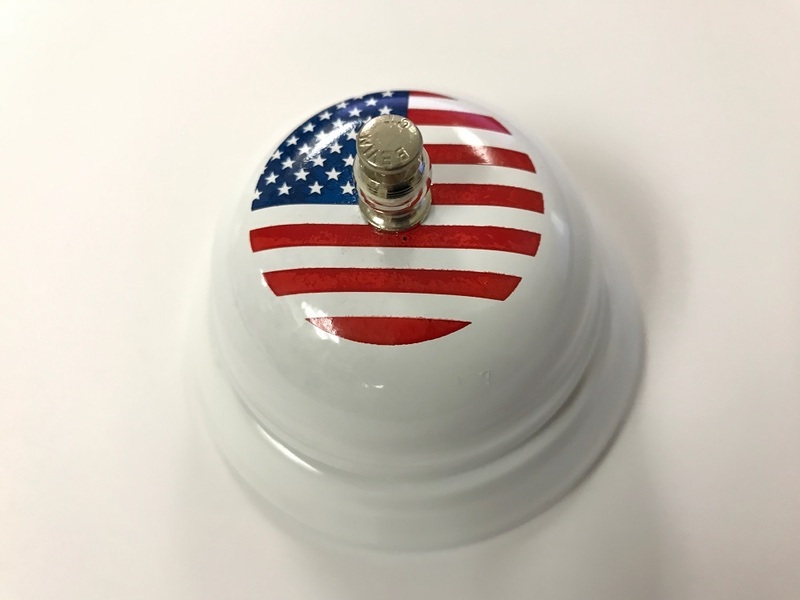 Please join us in welcoming the beautiful and patriotic Flag Call Bell to our family. We can see it now sitting proudly on the desk at a local USPS letting the postal staff know you are ready and willing to buy stamps. Or how about at Army-Navy stores to call a clerk to check you out with your new camo tuxedo. Smart teachers will use them to get the attention of wayward students. And all the best public buildings wouldn’t be caught without one. It has a bright future indeed. Want to get your hands on one? Just click here and we’ll set you up! Want some other ideas – how about some fun games on 4th of July? Or teach your cat to call for treats. 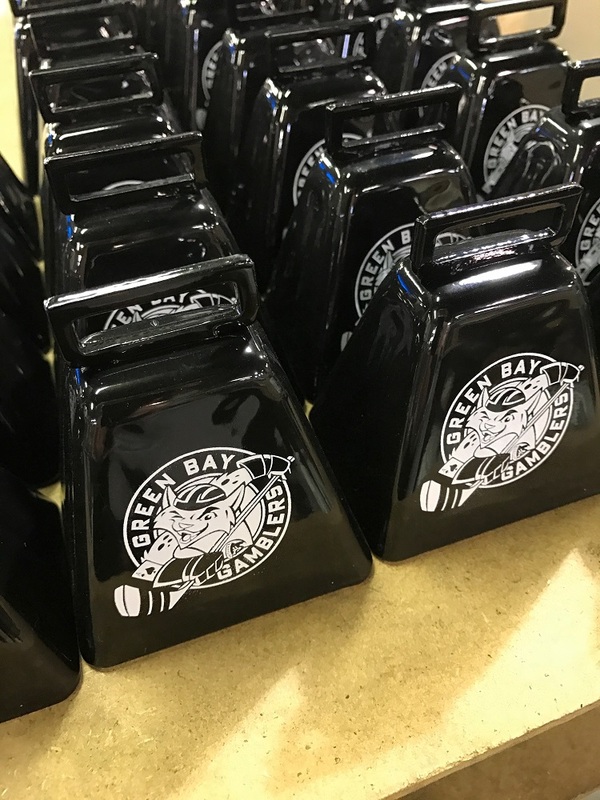 Those cheeseheads in Wisconsin love our Bevin Bells, and we love the Green Bay Gamblers of US Hockey League fame. Currently sporting a winning record, they are enjoying a strong season. And you can bet that each time they score a goal, the sound of our cowbells will ring loud and proud. how they gonna do it? Well you get the idea – GO GAMBLERS! !